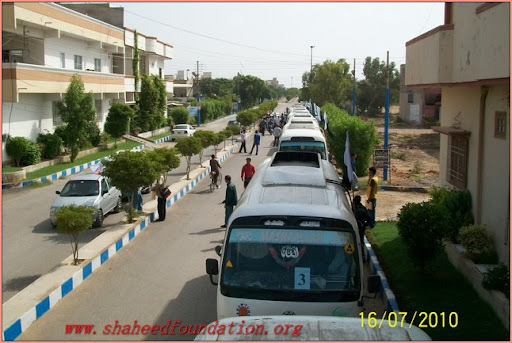 Shaheed foundation Pakistan organized its annual picnic for the families of Shuhad-e-Millat-e-Jafaria Pakistan on the pleasant occasion of the birth day of Imam Hussain Alai Salam on 3rd Shahban 1431A.H (16th July 2010) at Karachi. 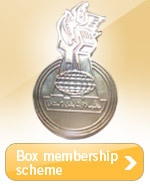 Various facilities and activities were arranged there. There was a separate arrangement for ladies and gents. 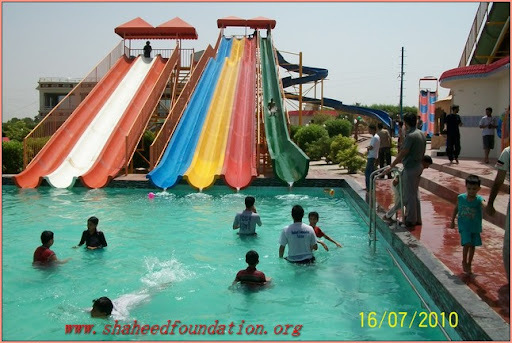 Activities including jumping castles, blowing balloons, face painting, quiz program, sliding in pool, lucky draw and Namaz ba^jamaat, Mehdni and chill spot. 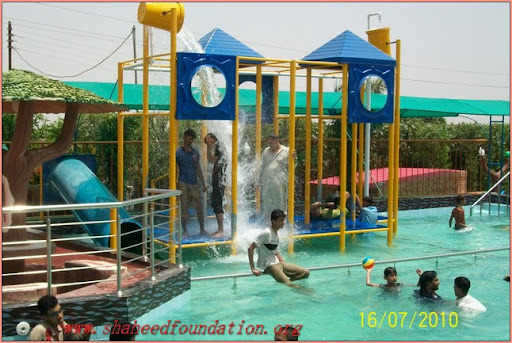 The activity schedule was already provided to all families that was comprised from 07:45 AM to 06:30 P.M. 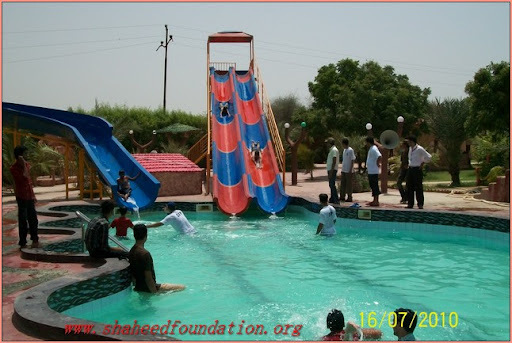 Families enjoyed a lot during the picnic specially children, their joy was unexplainable. 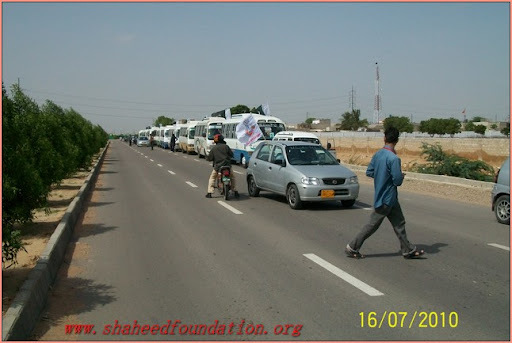 Various gifts were also provided to shohada�s family by Shaheed foundation Pakistan. A quiz was arranged in the light of personality of Imam Hussain Alai salam and Hazrat Abbas Alai salam and a gift was awarded on every successful answer. 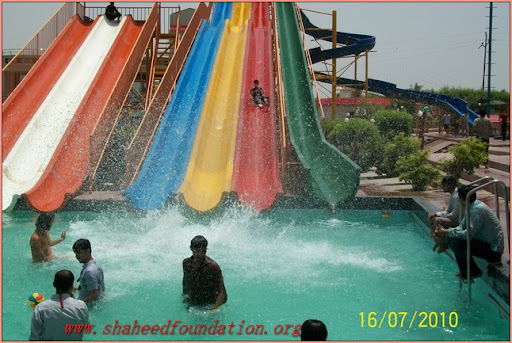 Various Water games were also played in which children enjoyed a lot. 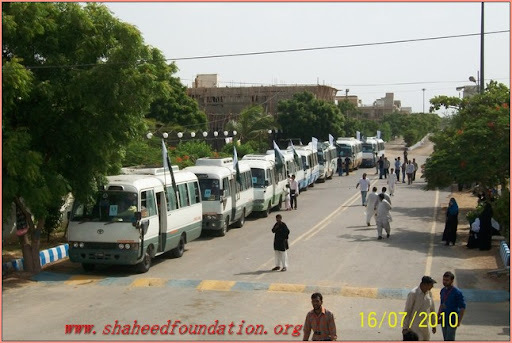 A brief speech about the �Importance of Shohada in Society� was also delivered by Molana Haider Abbas Abidi. The central committee also addressed to families of shohada in which they offered thanks to all families who participated in the event. 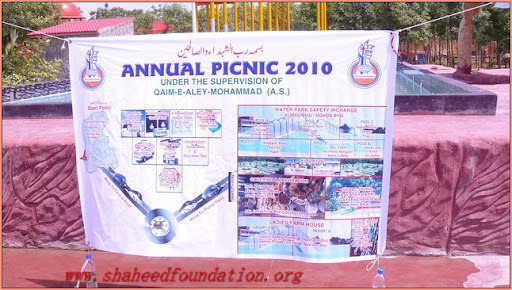 It was the 2nd summer picnic in current year, before this, it was also arranged in Multan in the honor of shuhda-e-Millat-e-Jafaria. In which families from various areas of South Punjab participated.